Because phishing is happening all of the time, to every organization, security pros need to understand where the next attack is going to come from in order to be better prepared. 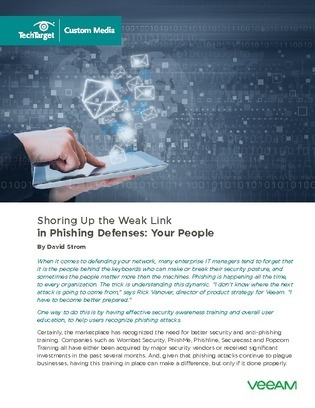 Explore this expert resource to learn how to secure the weakest link of your phishing defense: your people. Uncover 4 tangible steps to take to run the best possible security awareness program at your company.